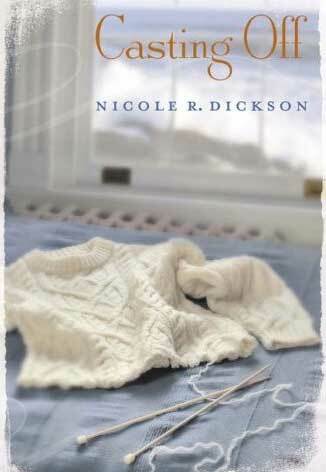 It is here that Rebecca Moray comes to research a book on Irish knitting. With her daughter, Rowan, accompanying her, she hopes to lose herself in the history of the island and forget her own painful past. Soon, the townsfolk's warm embrace wraps Rebecca and Rowan in a world of friendship, laughter, and love. And it is here that young Rowan befriends Sean Morahan, a cantankerous old fisherman, despite his attempts to scare her off. As Rebecca watches her daughter interact with Morahan, she recognizes in his eyes a look that speaks of a dark knowledge not unlike her own. And when current storms threaten to resurrect old ones, Morahan and Rebecca find themselves on a collision course-with Rowan caught between them-each buffeted by waves of regret and recrimination. Only by walking headfirst into the winds will they find the faith to forgive without forgetting...and reach the shore.